For Andrew and Jamie, the ministry has always been about people. Andrew knows that to be effective in ministry on radio and television, he must always maintain personal interaction with those who are following and depending on the ministry. This is a fundamental principle that many ministers have forgotten. Radio and television make it possible to reach millions with the good news, but they never afford the opportunity for personal interaction that keeps a ministry fresh and in touch with the needs of people. 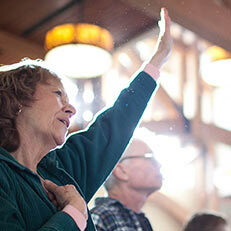 Andrew has taught and ministered to thousands in America and around the world, in churches and at special events. In those meetings, he always took time to minister to the needs of people and talk with them as time permitted. But it wasn’t enough, and he knew the time was fast approaching when he would need to host his own meetings. Andrew wanted to minister the Word and healing to more people directly. He wanted the opportunity to talk with more people about their needs and how the ministry was meeting them. And, he wanted to personally thank all those who had entered into partnership with him to help fulfill this vision. To accomplish that, it required venues that could serve large numbers of people at neutral locations where all would feel welcome. It required more than a single Sunday morning or evening service to teach a message effectively. So, in 2003 the first three-day Gospel Truth Seminar was held in Kansas City at the Marriott Hotel. 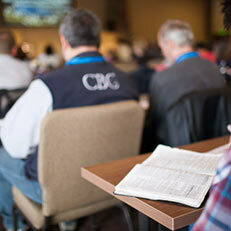 That was the beginning of the Gospel Truth Seminars that are now held in major cities across America. Andrew and Jamie cordially invite you to attend a GTS in your area. Check out Andrew’s event schedule for listings. Ministry is all about serving people. When difficulty comes or you’re facing a crisis, what a blessing it is to have someone you can talk with and receive the help and encouragement you need. Andrew Wommack’s “Helpline Ministry” was initiated in 1991 to provide that along with other services as well. Since then, the Helpline has received hundreds of thousands of calls. Ruth called in for prayer for clogged arteries. While in surgery, her arteries opened up on their own, right before the doctor’s eyes, and the doctor started praising God. A prayer minister prayed with Deborah who had a lump in her breast. It dissolved immediately. 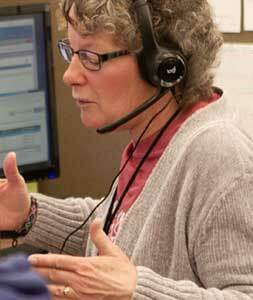 Annie called the Helpline by “accident” while trying to call for road conditions and received salvation. 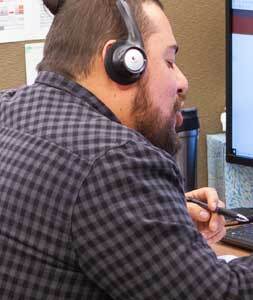 The Helpline’s “Encouragement Department” makes outbound calls to our partners on a regular basis. These are not solicitation calls but an effort to minister to our partners and friends. The first outbound call ever made was made by Andrew’s associate minister, Don Krow. He picked a name at random from the mailing list and called a woman in Florida. God’s timing is always amazing. 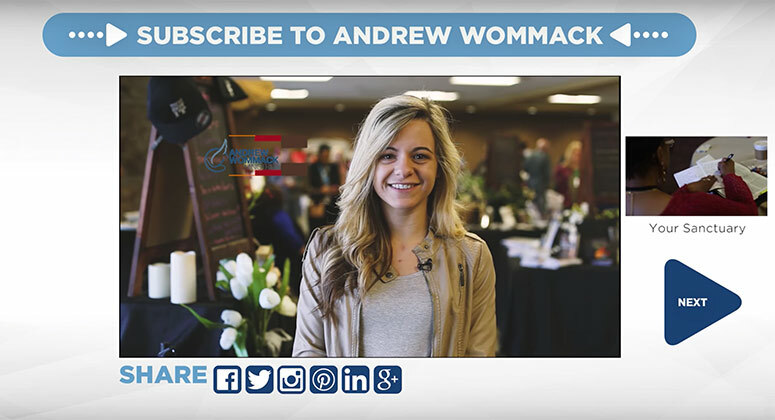 When the woman answered, Don said he was calling from Andrew Wommack Ministries just to bless her in some way and asked if he could pray with her about anything. The lady told Don that she was sitting at her kitchen table writing a letter to Andrew at that very moment. Her teenage daughter had been raped, and she was trying to get some questions answered and guidance on how to minister to her. She had just put her pen down to ask God for help when the phone rang. It was Don, who was able to minister directly to her need. This was the first amazing example of God’s timing and grace in these outbound calls, but not the last; it happens all the time. The friendly people manning the Helpline can serve you in many ways: they provide you with an opportunity to receive personal prayer and ministry; they make ordering teaching albums, tapes, CDs, books, and other materials fast and easy; and they can answer questions you may have about the ministry. Helpline personnel are well trained and minister with excellence. 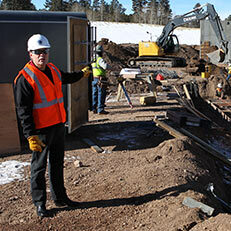 Many are personal friends, but all are recommended by Andrew as qualified, friendly, and efficient. Helpline hours are 4:30 a.m. to 9:30 p.m. (MT) weekdays (except holidays). Give us a call. We would love to minister to you in any way we can. Take advantage of our website at www.awmi.net. It’s far more than just general information; it contains a virtual library on every subject Andrew teaches. Watch Andrew’s daily television programs day or night, or listen to his radio broadcast at your convenience. Archived television and radio programs can be selected by date or topic. You may view the Online Bible Commentary with nearly 5,000 footnotes written by Andrew on the New Testament, from Matthew through 2 Timothy. Access any footnote by simply looking up the verse. Over thirty of his teaching articles from past newsletters can be read. 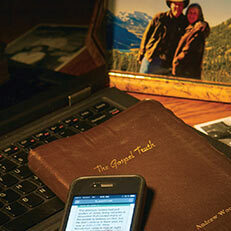 In addition, a popular daily devotional is available as well. Build your faith by watching a video testimony of one of the most miraculous healings you may ever see. Or check out our Blog; it offers hundreds of posts including great testimonies, stories from Andrew’s ministry trips, special videos, and much more. The website also contains information about Charis Bible College, Andrew’s meeting schedule, radio and television broadcast schedules, our statement of faith, and how to contact AWM. Read what others are saying in our guest book, and be sure to sign as well. Andrew would like to know what you have to say. He reads all of the guest book entries personally. *Great news: Audio teachings by Andrew are now available for download as MP3!